Without water, life would cease to exist. In the United States, we never have to worry about the quality of our drinking water, but that's not the case for everyone around the world. Across the globe, a staggering one in ten people lack access to clean, safe water. That’s 2.5 times the population of the U.S. 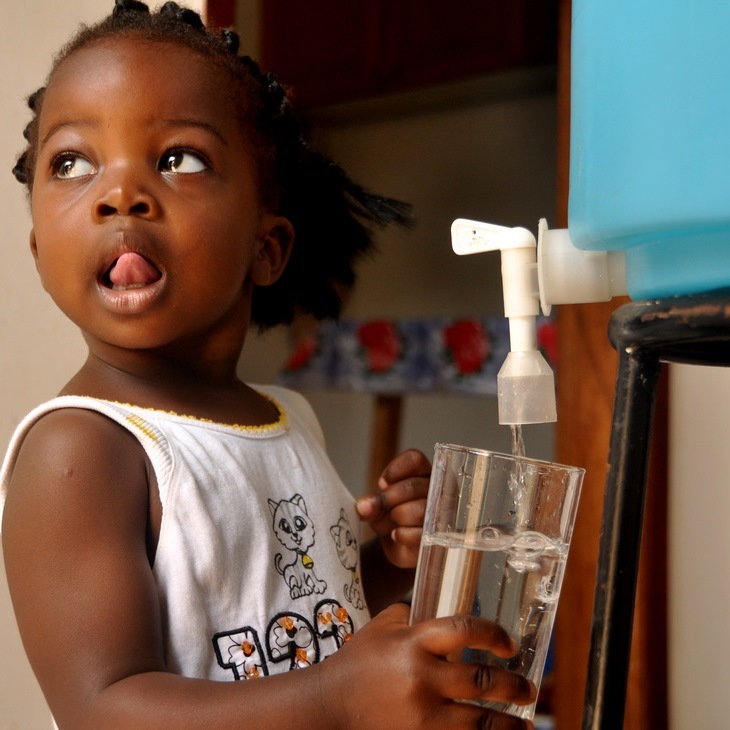 Even more alarming, contaminated water kills more than 5,000 children - daily. These deaths are 100% preventable. Improvements to the water supply could significantly reduce child mortality, improve health and decrease economic loss in affected areas. One Knoxville non-profit saw a much-needed opportunity to cause change. TivaWater began with a simple mission: to bring affordable, clean drinking water to the 750 million people in the world without access to a safe supply. To make this a reality, TivaWater needed an innovative, transformative design. They turned to us to help bring their idea to life. According to the World Health Organization, the most effective way to purify dirty water is to filter it within the home, which helps prevent re-contamination during transport. Enter the TivaWater home filtration system. The durable, slow-sand water filter sanitizes even the dirtiest water at the point of use, removing 99.999% of bacteria and viruses. It eliminates the need to boil, transport or store water in contaminated and unreliable containers. It also prevents sediment-clogging problems common with other home filters. The filter has a long life span, lasting 10 years or more under normal use. By funding local distribution companies, TivaWater has also created valuable jobs to help individuals provide for their loved ones. TivaWater has made marked improvements to the quality of life over the last several years. Since 2010, more than 100,000 people have been given the gift of pure water. Before production, TivaWater turned to TriMech to verify the filter. With the help of our Engineering Services and Rapid Prototyping teams, TivaWater was able to finalize the design and test water quality with a real life working model. In this two-part video series, you’ll get an inside look at the making of the prototype. We’ll show you how the TivaWater filter is helping thousands of vulnerable families, and then we’ll go behind the scenes to discuss design modifications and the 3D printing process.